People might be wondering why there is such a name as "bull dog". Originally, Great Britain and later, America were obsessed with bloody fights between bulls and dogs. The main function of the canine is to hang on to the bull's neck and worry the poor animal until it dies. Obviously, these dogs had developed great strength in their jaws. Among the popular choices of dogs for this sport were the pit bulls. Back then, the selection of pit bulls was so varied that many showed a variety of characteristics that made the sport highly interesting. Later in the life of the sport though, the center of attraction switched towards the fight between pit bulls and not against the bulls themselves. From these canines rooted most of the bull dog terriers that we know of today. One of the significant bull dog terriers we have is the American Staffordshire Terrier who is of great interest since it possesses intriguing seemingly opposing characters. They project strength and physical power but they are not vicious. In fact, this dog is very much associated with its relationship to its family, especially among children. The physical features it has are now only due to their basic nature and orientation during their bloody fights as fighting machines. But this does not negate the fact that they can sometimes show aggressiveness which may somehow work against them. Nevertheless, this can be set off with their loving nature and devotion to human family. Thus, it has a stable temperament which makes them good pets and excellent watchdogs. AmStaff terrier, as it is called by its shorter name suffers in reputation though since it is commonly associated with pit bulls. 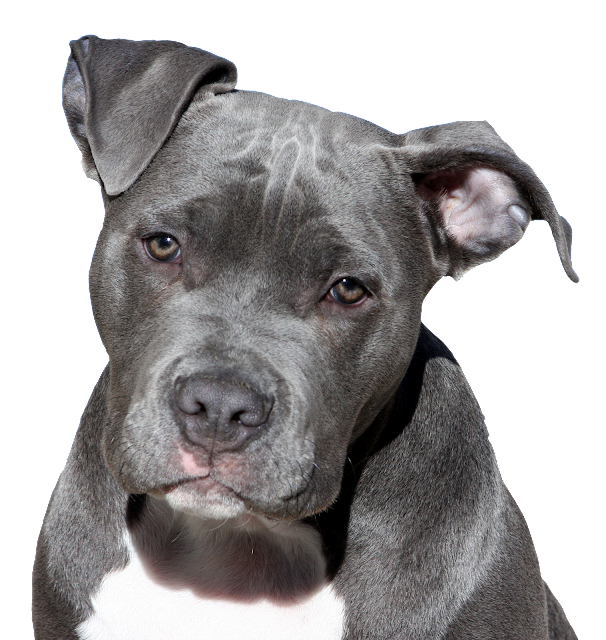 These dogs are known for their love for the challenge and are therefore employed in illegal dog fighting. Most of the problems root from irresponsible training. Sadly, there are too few AmStaff that are properly trained. And what's even depressing is that there are innumerable pit bulls that are continually ill-treated by sadistic owners. We are often confused about what true pit bulls are. In fact, many contend that these dogs must not be called by that name since it elicits unwanted images of gory dogfights. While this breed is not yet officially recognized by the American Dog Breeders Association or the United Kennel Club, the legitimate name remains to be American Pit Bull Terrier. While it is true that American Pit Bull Terrier is violent in nature, this doesn't imply that they are made purely for brutal stuff. As we have earlier said, these dogs are only products of maltreatment and exploitive training (and inhumane) for self-serving purposes. Otherwise, American Pit Bull Terriers can be very people loving. These are also known for their being hardworking on which they excel from. They are also fond of excessive physical activities that would exhaust their power reserves. Thus, this breed is great for those who need company during athletic training. If you are the couch potato personality, please find another breed of dog that would suit your lifestyle. To clear things off, American Pit Bull Terrier is not officially recognized not because of its ill reputation but mainly due to beliefs that it is not a purebred. One major standard for a dog to be distinguished as a member of Kennel Clubs is that it should be purebred. Until more comprehensive findings on its origin are found, this dog will remain unfortunately tagged as "nasty".